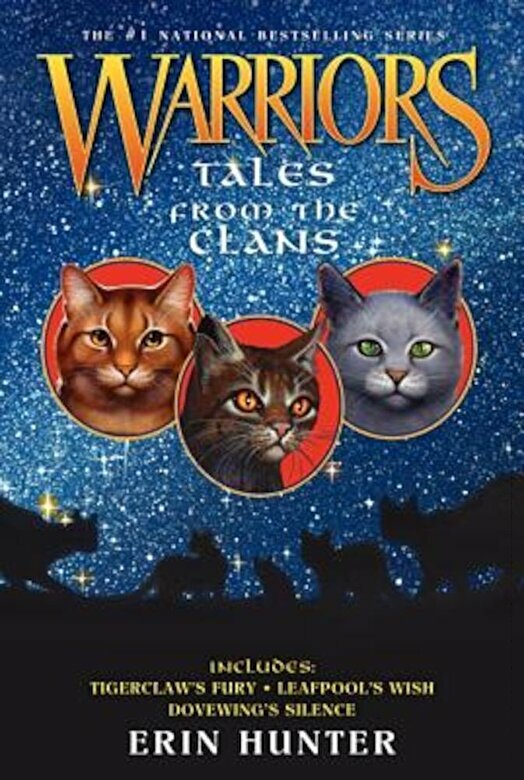 Tigerclaw's Fury Cast out of ThunderClan as a traitor, Tigerclaw will not rest until he has his revenge on Bluestar, Fireheart, and the rest of his former Clanmates. First, though, he must become Tigerstar of ShadowClan. . . .
Leafpool's Wish Leafpool always knew medicine cats weren't meant for love . . . until she fell for the WindClan warrior Crowfeather. But how will she keep her greatest secret? Dovewing's Silence In the aftermath of the battle with the Dark Forest, Dovewing's powers have faded--and she struggles to adjust to life as an ordinary warrior.